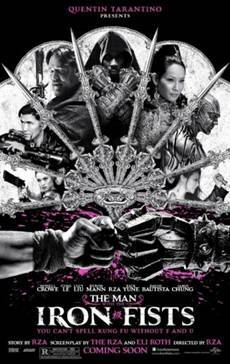 Quentin Tarantino's upcoming film, The Man with the Iron Fists, looks more like Mortal Kombat than Mortal Kombat. I mean seriously; the Rick Yune, RZA, and Russell Crowe starring kung-fu beat'em up flick has some serious videogame flavor going on... mature videogame flavor, that is. Everything from the different fighting styles and weapons to the supernatural abilities and characters from different parts of the world just smacks of a bunch of classic one-on-one fighters.